﻿ Cristiano Ronaldo: "We can reach the Champions League final"
09.04.2013 » Cristiano Ronaldo: "We can reach the Champions League final"
Real Madrid has felt short in the Champions League for the past 10 years and it's no secret to anyone that this is the trophy the whole Madridismo is craving for ever since. Ronaldo has been flawless this season, having already scored 46 goals in 46 games and his aim is also locked on the Champions League, a trophy he has only won once, back in 2008, when he was still with Manchester United. Real Madrid has already landed in Turkish soil, in order to start preparing the Champions League quarter-finals second leg against Galatasaray. The 3-0 result achieved last week in the Santiago Bernabéu, has lifted both the players and fans' moral, but there's still one battle left before the Merengues can start thinking about who they will have to face in the semi-finals round. The competition's top goalscorer and Portuguese super star Cristiano Ronaldo (9 goals), expressed his personal belief on Real Madrid's good chances to get to the desired Wembley final, but also reassured that his side won't underestimate Galatasaray this Tuesday night, when both teams lock heads in Istanbul. This past weekend, the Portuguese forward decided to grant a few statements before traveling with the team to Turkey. In the dawn of this quarter-finals tie against Galatasaray, Ronaldo confirmed that his focus is completely set on Real Madrid and that his neverending contract renewal negotiations won't distract him from what really matters at such an important stage of the season. Cristiano Ronaldo: "Right now, my future is not important. What matters the most is Real Madrid and that we manage to keep winning. I'm very happy with everything and scoring goals will always be important for that regard. My top priority is to help the team and that's my main concern whenever I step up to the pitch or go to the training ground", pointed out the 28-years old. As for this Champions League campaign, Ronaldo remains convinced that the Merengues are one of the top contenders, but warned against the dangers posed by a team that has such good players as Galatasaray has, even though the Turkish side will be forced to kickoff this Tuesday's game with a 3 goals deficit, due to the aggregate result brought from the Santiago Bernabéu. Ronaldo: "The tie is still far from being settled. We have a good advantage indeed, but we have to go there and give our best. I'm not sure if we are the favorites to win the Champions League, but what we have to be worried about is to go step by step and therefore, I don't like talking too much about it at this stage. Nevertheless, I think we have great chances of reaching the Champions League final this year...", admitted the Portuguese international. In the Spanish League Real Madrid keeps chasing Barcelona, but since a few months now, the gap seems simply too much to be covered. A total of 13 points separate the two Spanish giants and there are only 8 games left in La Liga schedule. Ronaldo is perfectly aware of these facts but believes it is very important to keep winning domestically, at least to keep the confidence levels high for the bigger games left in this season. Cristiano Ronaldo: "Winning the Spanish League is almost impossible, but we have to keep winning to continue confident with our own game. We've been conceding a lot of opening goals in the league and sometimes it seems like we have to star trailing in games, in order to wake up and react properly. Fortunately, Higuaín was there for us last Saturday and he scored that stunning goal from a terrific volley." Still coming as a consequence of the huge point gap to Barça in the league, Mourinho decided to go into the game with Ronaldo on the bench. It was actually the third time this season that CR7 was cut from the line-up, in order to rest for more important games. The former Manchester United player understands the reasoning of the decision, but stated that he's always expecting to help the team on the pitch. Ronaldo: "I want to play every single game, but I have to respect and accept my coaches decisions, who are always looking for the best interests of the team. I think I can still give a lot more to the club and I want to prove it in every single game we have left in the schedule! 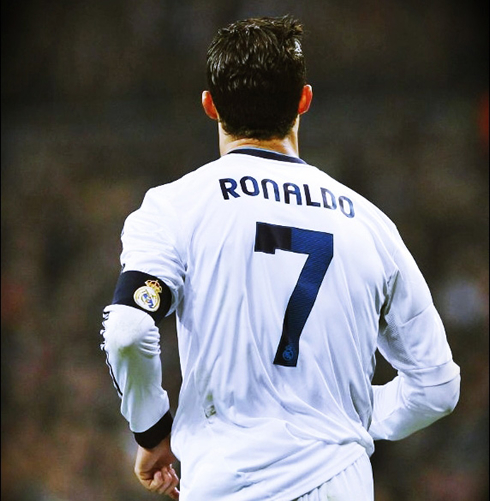 ", affirmed the Real Madrid forward, who judging by his words, seems to be thinking that his best form is still to come. Let's hope that's true and that Ronaldo may be decisive in leading the Merengues to the Champions League final in Wembley. 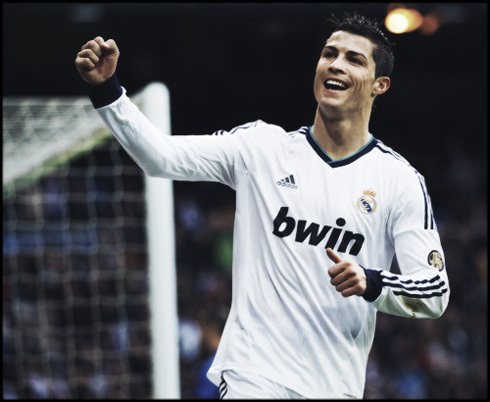 Cristiano Ronaldo next game for Real Madrid will be against Galatasaray, on April 9, 2013, for the Champions League quarter-finals 2nd leg. You can watch Juventus live stream, Galatasaray vs Real Madrid, Barcelona vs PSG, Manchester United vs Manchester City and Borussia Dortmund vs Malaga, all matches provided from our soccer live stream section.